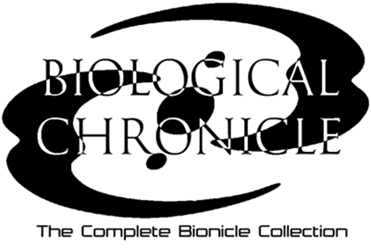 Hey, so re-reading some of the Bionicle story, I remembered that the way the fight between the Toa Mata and the Shadow Toa went down in Chronicles #1 (Tale of the Toa) isn't officially canon. At least according to Greg Farshtey, that fight really ended with the Mata realizing that the shadow was a part of themselves, and they reabsorbed the Shadow Toa into their own bodies. With that in mind, I've written this: an alternate version of chapter 16 of Tale of the Toa, based on Greg's short description of the canon version of the fight. I've included the very beginning and end of the chapter, even though they're unchanged, to give some context (for those of you who have access to Tale of the Toa, I recommend re-reading the end of chapter 14, and all of chapter 15, before this if you want the full fight). The text between the horizontal lines is what I wrote. Also, just a note: this references some events from MNOG which were not recounted in Tale of the Toa. I don't think this has been done before, but let me know if it has! I'd be interested to see how others pictured this happening (though I'll be a bit embarrassed if I find out there's actually a canon, fully-written version of this fight somewhere that I wasn't aware of. EDIT: ha, there is, from the Bionicle Style Guide. Oh well ). ...and that's it! I'd really appreciate it if you take a minute to leave some feedback. Thanks! Edited by TuragaNuva, Feb 15 2018 - 09:53 AM. I love this! My only gripe is that it feel like Gali figured it out too quickly, like there wasn't enough buildup to that dark revelation. Other than that, it flowed well with the start and end of the original chapter, and I really enjoyed it. Nice work! I love the idea! I felt that Greg's version was a bit too quick, (although I still prefer Hapka's version). This seems to combine the best elements of the two. I particularly like how you've introduced and focused on the MNOG sub-plot of Lewa having the infected mask placed on him. If I may offer some (minor) criticism, I'm not a fan of Gali's thoughts referring to the others as 'men'. Even though the Toa and Matoran are gendered, their genders always seemed irrelevant to me; their only importance being the pronouns they used. Although Greg himself screwed this up in the Yesterday Quest. Ah, a minor nitpick, and perhaps one that isn't fair to criticize. I did quite like the rest of her inner monologue, where she sees herself as wiser than Kopaka and Lewa. Also, I feel as though Lewa's tree-speak is missing. Oh, and finally, I suppose with this rendition I miss Pohatu's character development from Hapka's novel. Great concept, excellent bringing together of parts of both the novels and MNOG, an attempt to 'canonize' something that Greg said that (IMHO) ended up being better than the version that Greg wrote, and only a handful of minor (personal) niggles to complain about. Edited by ArchAngelleofJustice, Aug 28 2018 - 09:06 PM.